My first Mini Hugelkultur bed has been surprisingly successful, especially considering that it was a small bed made with hedge trimmings and other garden rubbish. Below are some of the squashes we have picked and last night we tasted our first one beautifully cooked by my better half. 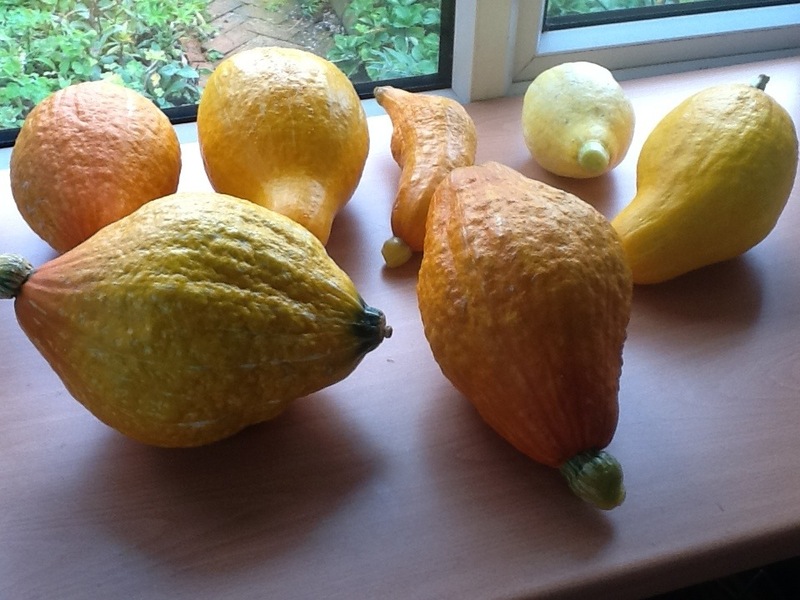 There are a few more small squashes I have left to see if they will get any bigger, once the plants have died back I want to stick my hands deep into the pile to see what the soil is like – I will report back later. This entry was posted in Food, Garden, Permaculture, Soil. Bookmark the permalink.